Shehla Khan showcased her first collection in March 2013 at Lakme Fashion Week and she become the hit. 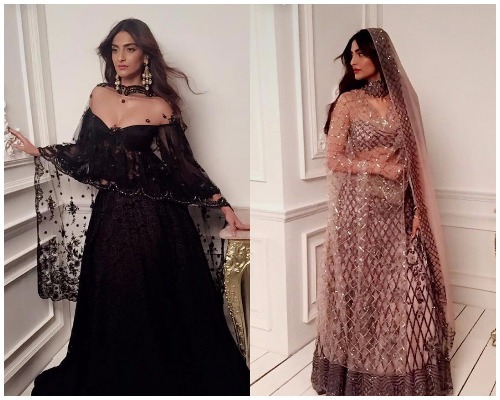 Sonam Kapoor wore Shehla Khan’s black and white lace cape lehenga at one of party at Cannes in 2013. Apart from Sonam Kapoor, Kareena Kapoor Khan, Karisma Kapoor, Alia Bhatt and Priyanka Chopra are her steady clients. 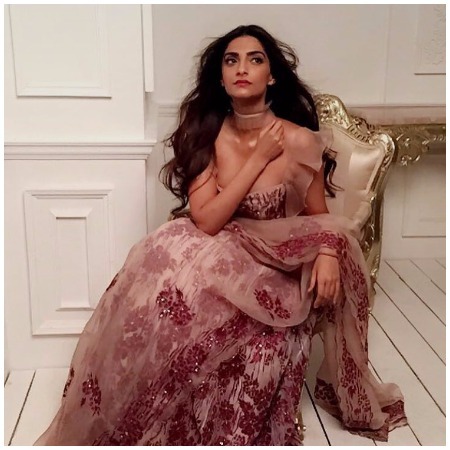 Also Read: Sonam Kapoor Dazzles at Cannes 2016 With Her Sassy Style! 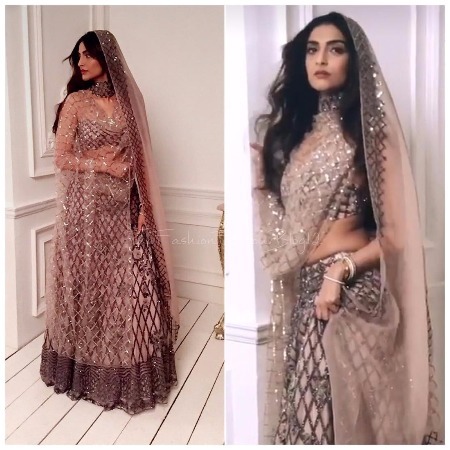 Shehla Khan has roped in Sonam Kapoor for the photo-shoot. 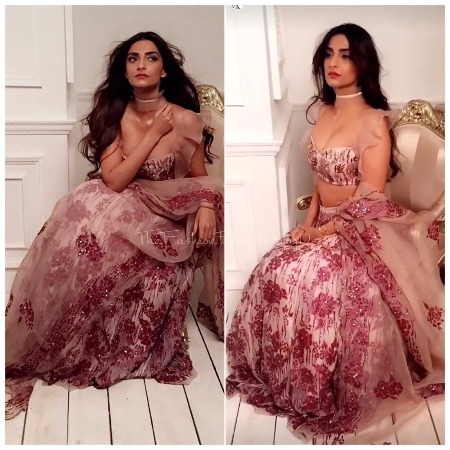 The oozing beauty of Sonam Kapoor and vintage silhouette of Shehla Khan together bringing the finest of collection this season. 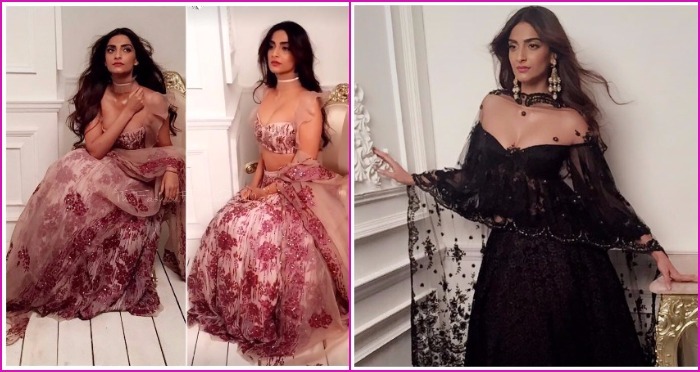 The collection is sultry with strapless top, cape lehenga’s, sweetheart necklines and bell bottoms. The floral prints is bringing the fresh hue to the collection. Next : Photos: Bipasha Basu Celebrated Karan Singh Grover’s Birthday In Goa With a Lip Lock and More!